According to OSHA, falls from aerial lifts are one of the top causes of injuries and fatalities on work sites. Safety features have been added and improved on aerial lifts and other machines, but proper safety training and awareness is still the number one method of prevention. That’s why OSHA has created their fall protection program because it holds employers responsible for informing workers, and it gives employees the education they need to avoid fall hazards. What is OSHA’s Fall Protection Program? OSHA has created content and safety plans inside the Fall Protection section on their website that is accessible by employers and workers. The Fall Protection standard issues requirements for employers, rights for workers, personal protection equipment, and the best practices for preventing deadly falls from equipment. What Are the Requirements in OSHA’s Fall Protection? OSHA requires all employers to set up a safe workplace that is clean and dry and ensures workers are protected against falling hazards, including falling off of overhead platforms, falling off of elevated work stations, and falling into holes in the floor and walls. Fall Protection is required when working at heights of four feet in general industry workplaces, five feet in shipyards, six feet in construction, and eight feet in long shoring operations. The Fall Protection program is also required whenever a worker is working over dangerous equipment and machinery, no matter the working elevation. There are four main types of personal protection equipment included in OSHA’s Fall Protection Program, which includes fall arrest systems, positioning, suspension, and retrieval. Fall Protection systems include body belts, chest harnesses, full-body harnesses, suspension belts, rope lanyards, web lanyards, cable positioning lanyards, shock absorbers, rope grabs, retractable lifeline systems, safety nets, and rail systems to prevent workers in all types of situations. 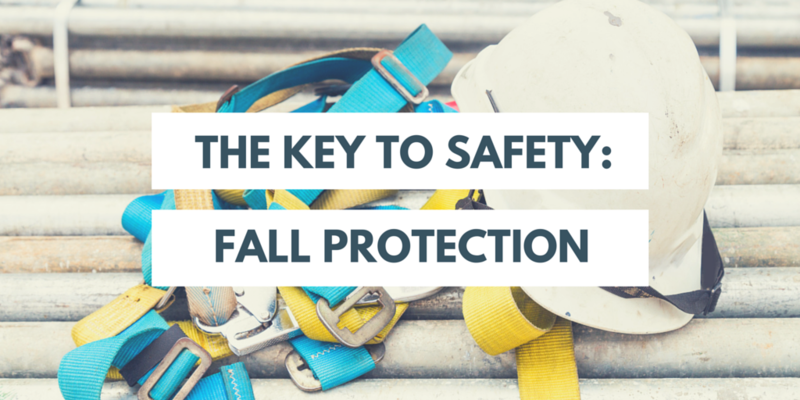 Why Is Proper Fall Protection So Important for all Workplaces? Falls are one of the most common causes of serious accidents in the workplace, and a proper fall protection program is the best way for employers to fulfill their duties of providing a safe work environment that is up to the standards of OSHA. A fall protection program also includes all of the information workers and employers need to avoid hazards and understand the type of personal protection equipment that should be used for every type of situation. To prepare your employees to recognize and avoid fall hazards, make sure they complete aerial lift certification training with an OSHA-compliant company. This entry was posted in Aerial Lift Certification, Aerial Lift Training on July 7, 2016 by admin.